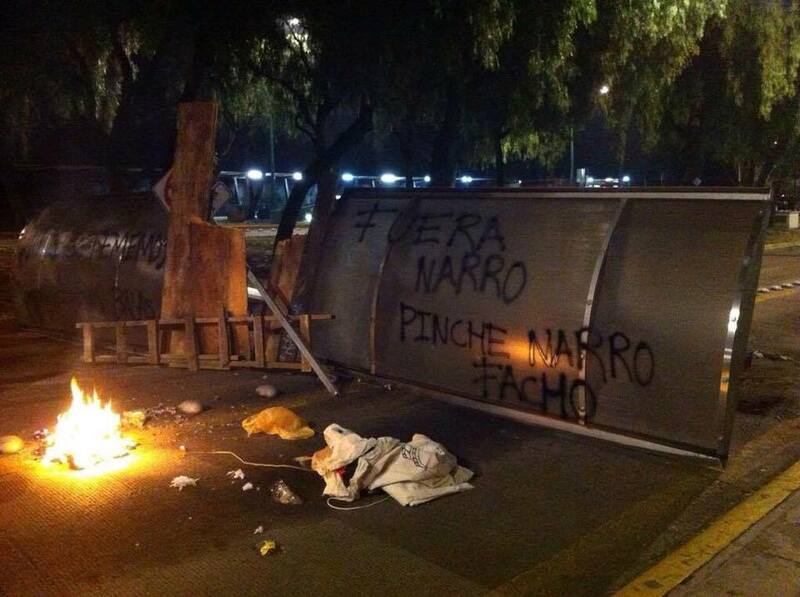 Mexico: University of Mexico site of the shooting earlier this evening of two students and a dog. 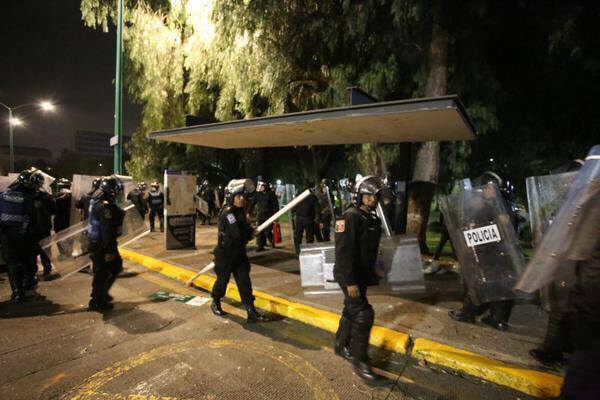 Riot Police entered UNAM earlier tonight, students have since secured some entrances around the university center and set up barricades to keep cops out. Supposedly the car of one of the officers involved in the shooting had his car catch on fire. Large protest in Mexico City is scheduled for tomorrow.